Looking for the best solid perfumes? From clean and fresh, to light and floral, and musky and seductive, this guide will help you find the perfect scent for your next trip, all while saving space in your liquids bag! I have an odd fascination with miniature beauty products. No, really. I stockpile them like Sephora might go out of business any minute. I’m delighted whenever my Birchbox arrives. The words “deluxe sample” are like music to my ears. I’m a total sucker for miniature versions of my favorite products (you can read here about where I find them). The one exception to this addiction is perfume samples. They’re just such a letdown. Maybe it’s because they’re just…so….EVERYWHERE…that in my mind, perfume samples just don’t have scarcity value. Maybe it’s because the spritzing function leaves a lot to be desired and I end up with half the bottle on my left wrist. Regardless of the reason why, perfume samples always end up in my trash bin, meaning that I have a need to fill the perfume void when it comes to my travel beauty essentials. There’s a few reasons why I find solid perfumes to be perfect for travel. First of all, they don’t take up space in your liquids bag. This is HUGE, because if you’re like me, you’re probably constantly trying to cram each and every toiletry you have into your one-quart bag. (Need more help? Check out my list of travel size beauty products you’ve never heard of before). Another thing that solid perfumes have going for them? There’s no such thing as a spill. One of the worst surprises you can find when you open up your suitcase is that one of your liquids has spilled all over EVERYTHING. The very last thing you want to spill is perfume! Why? Because your entire wardrobe will smell WAY TOO STRONG during your entire trip! There’s also an element of stealth to solid perfume – if you find yourself in a smelly situation, you can discreetly apply some without spritzing liquid all over the place. Since the scents are in solid form, the smell is also less potent, which can be perfect for close quarters. Finally – solid perfumes come in such gorgeous packaging! Check these beauties OUT! I’d certainly rather have one of these in my bag to show off than one of those lame mini perfume bottles. Here’s a few of my picks for the best solid perfumes out there. Le Labo’s solid perfume makes a phenomenal gift for the traveler in your life. Why? Well, firstly because it comes in soooooo many different scents, there’s something for everyone out there. My absolute favorite is Santal 33. Secondly, Le Labo solid perfume is a complete indulgence! The sort of thing you might not ever buy yourself…and those are always the best gifts! 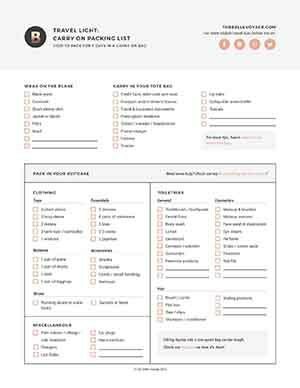 For more travel gift ideas, check out this post. Finally, you can have a Le Labo solid perfume case engraved with the recipient’s initials! I love this special detail. Feeling crafty? Turns out it’s easy to make your own solid perfume, too! 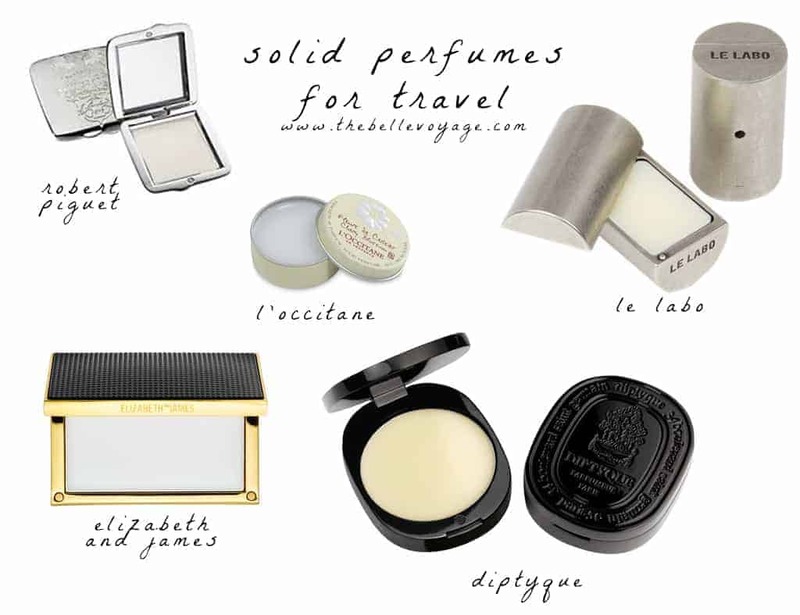 There You Have it – The Best Solid Perfumes for Travel!